Getting the perfect brows begins by choosing the best salon. Eyebrow threading is a trendy alternative to the typical waxing salon experience, but did you know it’s been around for centuries? Women have sought perfect brows for years and years before the advent of the waxing salon. In Central and South Asia hundreds of years ago, threading was developed. If you’re searching for ‘eyebrow threading near me’, you might be surprised to learn eyebrow threading in Long Beach is available at Brow Heaven, where Rachana offers her unique services. Her eyebrow threading in Long Beach honors the centuries-old traditions of threading while offering a luxurious, contemporary experience for each client. Eyebrow threading uses a single thread to lasso unwanted hair from the root. It’s sanitary and offers long-lasting results, with repeat visits after two to three weeks. This offers an exceptional choice for beautiful, natural brows. If you’re tired of waxing and plucking, threading might be your best choice. Contact Rachana at Brow Heaven to schedule your appointment for perfect brows! This ancient art uses the twists of cotton thread to trap unwanted hair and remove them at the root. This practice removes hair from the follicle, and is ultra hygienic. Resurface to reveal glowing skin, repair damage, or clear breakouts – in just 30 minutes. 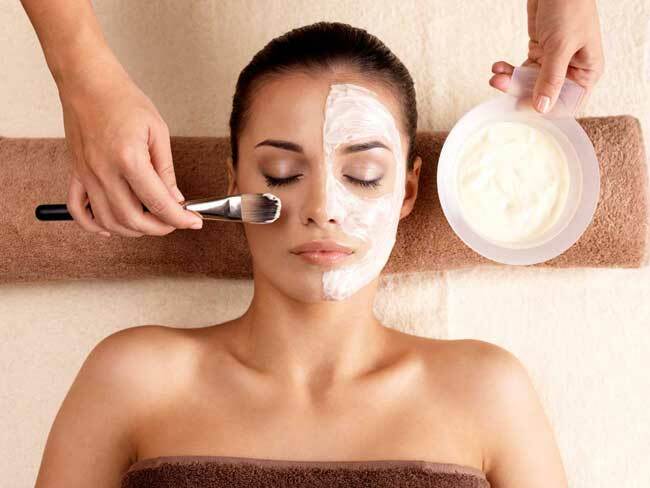 A fully customized treatment that addresses all your skin concerns. Proven to resurface your skin. Our procedure uses a diamond tip on the external skin, resulting in complete skin rejuvenation. The targeted skin is invigorated to create a fresh resilient skin layer. Say “Adios” to your unwanted acne, we use a medical grade anti-bacterial cleanse to remove mild to serious acne on the face..
Beautiful, full set of mink lashes, applied by our ultra skilled eyelash extension technicians. Lashes will grow and fall out, thats life! But we are here to add some back on you! Let us know if you need a fill. At Brow Heaven, we pride ourselves in keeping with the highest hygiene standards. We only use disposable wax applicator sticks and waxing strips. This means, we never double dip the same wax applicator stick into the wax pot. A clean applicator stick is dipped into the wax pot, the wax is spread onto your skin and then the stick is disposed of. This applies to all wax applicator sticks and all parts of the body, including the face. Our wax strips are disposed of as well and all non disposable laundry is washed in “Sanitize” mode (extremely high heat) and then dried with the highest heat settings. Everything is super clean and fresh as a daisy! This technique involves using a thin piece of cotton thread and swiping it quickly against the skin to remove unwanted hair at the root. This results in a cleaner look which lasts longer than waxing or plucking. Purges,cleans and balances spotty, difficult skin whilst hitting it with a heavy dose of hydration and brightening. Look and feel your best with our licensed waxing professionals. Our most popular services include: Brazilian, Bikini Line, Full Legs, Under Arms, Stomach/Back. Have a look at how eyebrow trends have changed over the past 100 years. Rachana was awesome! It was my first time getting threaded here and she did an excellent job. She took her time to make sure they were even and she did not over thread my eyebrows. It was exactly what I wanted. Rachana is the greatest! She is so talented. She takes time to make sure your eyebrows are even, and really knows how to get a beautiful arch without making the eyebrow too thin. I am so happy I found her! Love Rachana! She is the only person in Long Beach I trust with my eyebrows! Very quick and painless.She can get very busy sometimes so expect to wait. Also, love being able to get my eyebrows and bikini wax at the same place. Rachana was amazing. Love her she hands down did the best eyebrows threading experience. I have ever had in the 10 years I have been doing it. I’ll be a regular weaker for sure now that I have found her! 5 STARRRRRS! !